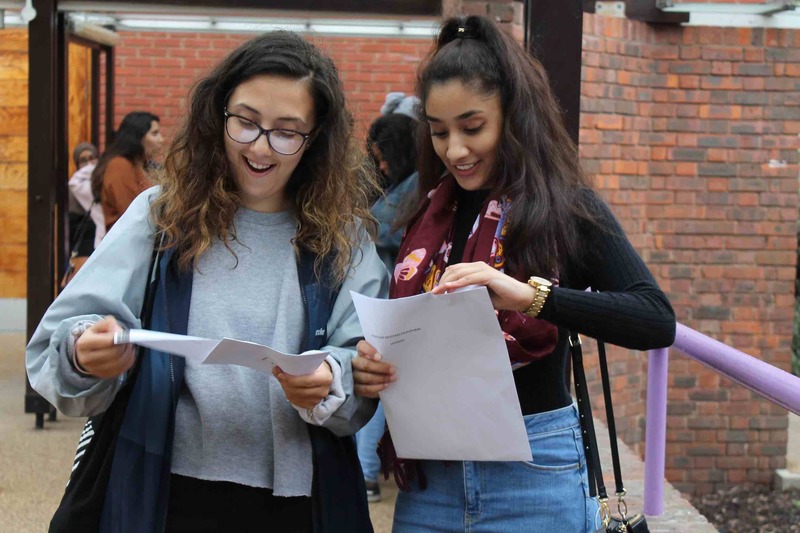 Students from across Hackney have collected their A-level results. 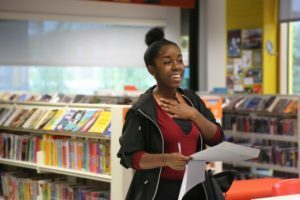 Clapton Girls’ Academy are celebrating A-level and BTEC results. 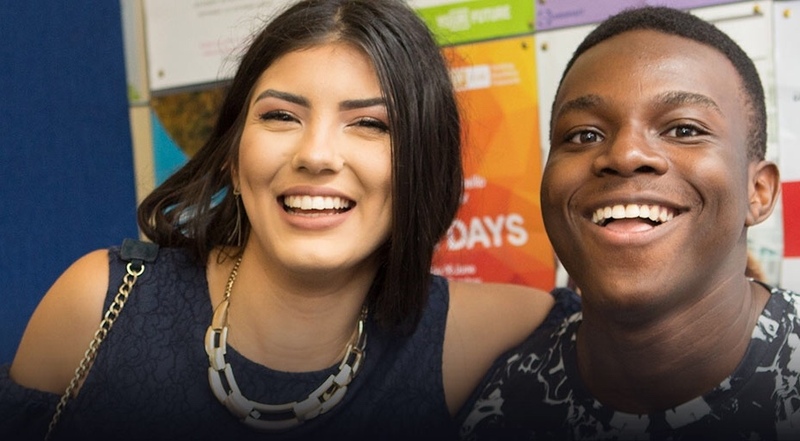 The academy is likely to be in the top 10% of sixth forms nationally with students achieving 100% pass rate and 85% A*-C grades at A-level and 92% distinction or above at BTEC. Both A-level and BTEC were above the girls’ national average with a huge 16 A-level subjects performing above the girls’ national average. Outstanding individual A-level performances included Lauren Zell-Huxley (A*A* A) who secured her place at Bristol to study mathematics. Maryam Ahmad (AAAA) was also busy celebrating her exceptional Science results and her place to study medicine at Imperial College. Particular congratulations go to the 22 students who achieved triple distinction stars (equivalent to 3 A grades at A-level). A number of BTEC students are off to study at Russell Group universities, including Nasreen Allyjaun (D*D*D*- Midwifery at Kings College) and Zunaira Deen (D*D*D* studying Business Management at Queen Mary University of London). Atiya Ahmed (A*AAA in Biology, Economics, Psychology and EPQ) who is going to study Political Economy at Kings College London. Alice Baxter (A*A B in Government and Politics, History and Drama) who is going to study at Guildford School of Acting.Denise Campoli (A*AB in English Literature, Economics and Government and Politics) who is going to study Chinese and International Development at Leeds. As well as going on to Higher Education, Clapton students are also embarking on exciting apprenticeships in a range of employment sectors. Amber Jackson is taking up an apprenticeship in construction with McLaren while other students are pursuing exciting careers-based apprenticeships in investment banking, education and sports science. The Urswick School Sixth Form Academy students celebrated A Level results with a 100% pass rate. 55% of Sixth Form students achieved top grades of A* to B an increase of 12% compared to last year. 77% of students achieved A*-C.
All students have been offered a place at university, for subjects ranging from Law and Business to Sociology, Engineering, English and Forensic Computing. Lavinia Dos Santos Brandao, 18, achieved an A in Sociology, B in Psychology, B in English Literature and a C in AS History. Minh Trinh, 18, was thrilled with his results. Minh achieved a hat trick of A grades in Maths, Physics and Chemistry : “I want to thank all my teachers for helping me through my journey.” Minh is going to the University of Manchester to study Electrical Engineering. He is one of a record number of Urswick students heading to a Russell Group University. 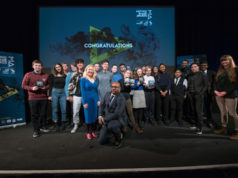 Richard Brown, Executive Headteacher said: ‘we are all delighted that these young people have done so well and are heading to Universities of their choice. Urswick has a small Sixth Form and offers personalised teaching. This is resulting in an ever increasing number of top grades. The number of students achieving A* to B grades is up for the third consecutive year. This is testament to the hard work of the students and the dedication of our teachers. Divine Okoroji joined The Urswick School in year 11 in December 2014 after completing his junior certificate in Ireland. Divine stayed on at the Urswick School Sixth Form Academy and has achieved a Distinction* in BTEC Art and Design alongside an A in A Level Art and C in A level Psychology. “I have achieved more than I could have imagined, all thanks to the teachers who have helped me. The support I have received from this school will not be forgotten and I am truly thankful.” Divine is going to Brunel University to study Industrial and Technology Design. 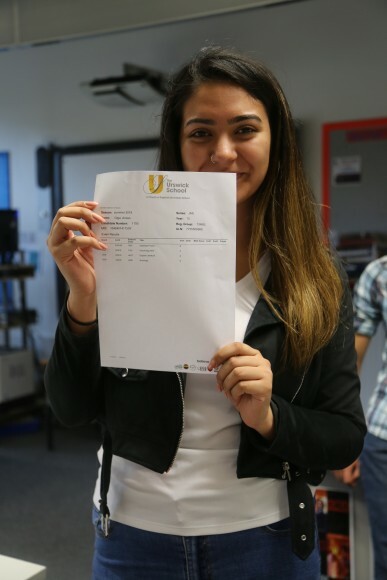 Olga Arslan achieved 3 As in Psychology, English Literature and Sociology. Olga has secured a place at LSE studying Sociology “I am so excited to be going to LSE with 3 As, I’d like to thank all my teachers that have helped me, I’m now one step closer to my dream of become a Human Rights Lawyer.” Olga was one of a group of students who were inspired by meeting the first female Bishop of London, Sarah Mullally. More than a third of students achieved 3 or more equivalent passes at A*-B at the Petchey Academy. 68% gained at least 3*A-C grades. 11 BTEC students (with equivalent of 3 or more A*-A grades) at Distinction level. 23% of students going on to higher education will study at a Russell Group university. 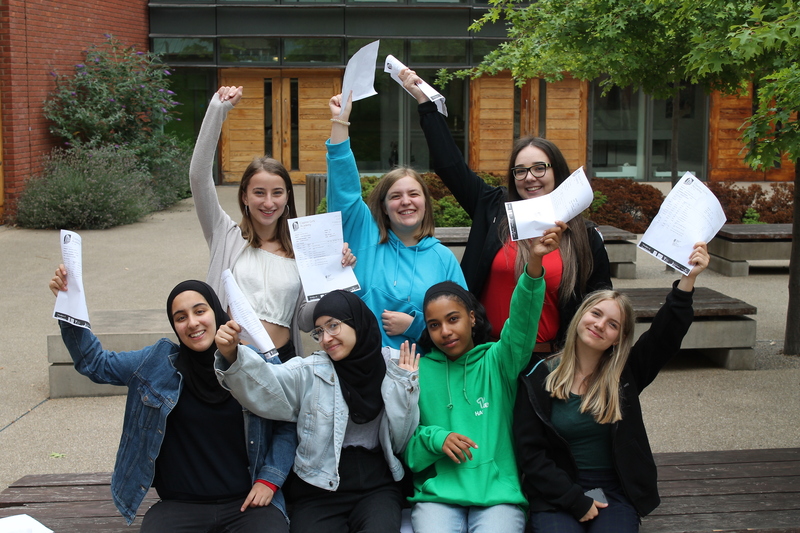 The Petchey Academy is proud of its results in Maths- the most popular subject among this year’s cohort – as more than half of students picked up A*-B grades. 23% of students going on to higher education will study at a Russell Group university including Queen Mary’s, Durham, Bristol and Manchester University. A Level students at New City College securing high grades in their exams and confirming their places to study at world leading universities. High achieving students included Nim Chi-Chao who secured an A*, and two A grades to guarantee his place at Imperial College, London, where he will study chemistry; Mohammed Arafat Ali, achieved three As and is considering options to study economics at university; Maisha Ahmed Choudhury achieved A*, A and B grades and is progressing to University College London, (a world top 20 university), to study a BSc in Social Sciences;.Tubor Pinneh and Jennifer Casi Suarez, who each achieved A, B, B grades and are going to Queen Mary University to study Computer Science; and mathematics & statistics respectively. Students continued to deliver strong academic performances, including a 100% success rate in ten popular subjects including biology, classical civilisation, further maths, Italian, law, sociology, physics, media studies, religious studies, and communication & culture. Further maths and Italian students delivered 100% high grades at A*, A, B, law achieved 75% high grades and sociology over 60% high grades. From this September, A Level students will join the college?s new Attlee A Level Academy, based at E1; a dedicated centre focused on A Level study and the personal skills development necessary for achieving aspirational destinations whether university or employment. “Well done to all our students today who have worked so hard to achieve these impressive individual results. It gives me great satisfaction to share in their joy when they open their results and witness the rewards of their hard work. Forest School is also celebrates another year of success on A level results day with 50% of all grades awarded to Forest School students an A or A*. 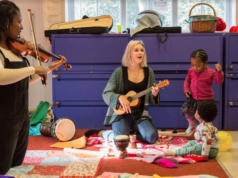 The overall number of A* grades is up more than 5% on last year, with Forest School students achieving the highest number of A* grades since 2011. 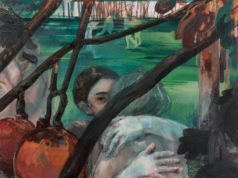 Amongst those achieving the most impressive results are students who have achieved A*s in a wide range of subjects including English Literature, Drama, Politics, History, Mathematics and Further Mathematics. 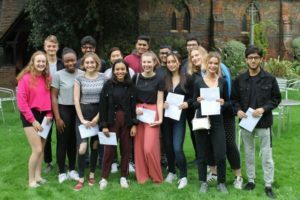 82% of Forest students secured a place at their chosen university, which is an increase on last year, and in September 10 Forest students will begin courses at Oxford and Cambridge and highly competitive Medical courses at top institutions. Grace Oswald has already started at UC Berkley in the United States having gained A* A* A* A* in her A levels, and Zoe Kundu has gained a place at the Royal Northern College of Music and Manchester University – the most highly regarded and most competitive course in the country – making it the seventh year in a row for a Forest pupil to have won a scholarship to a conservatoire. In addition to a minimum of 3 A Levels, all Year 12 students at Forest School take the Extended Project Qualification as part of Forest’s unique Sixth Form Diploma offering. This year’s cohort have achieved another set of stellar results with 78% of Forest Year 12’s awarded at least an A grade.